Jan Nayak Ch. Devi Lal Vidyapeeth (JCDV) established in the year 2002 under the aegis of Ch. Devi Lai Memorial Trust, JCD Vidyapeeth, Sirsa is emerging rapidly as a Centre of Excellence for learning and innovation, driven by sensitivity to social requirements and State-of-Art Technology. It offers quality research and training to suit the ever-changing needs of the industry and society. UGC also approves the Vidyapeeth under Section 2(f) of UGC Act, 1956. All the courses at JCD Vidyapeeth are affiliated to Government Universities like Guru Jambheswar University of Science and Technology, Hisar (Ranked 24th among Indian Universities by HRD Ministry), Three times A Grade certified by NAAC), Ch. 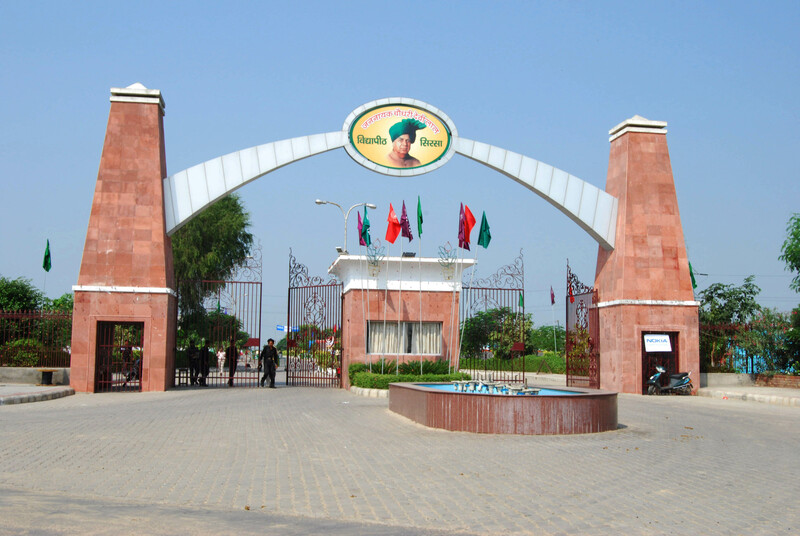 Ranbir Singh University (Govt. University), Ch. Devi Lal University (Govt. University), Pandit Bhagwat Dayal Sharma University of Health Sciences (Govt. University). The Vidyapeeth offers quality education to students in its hi-tech campus, spread over 180 acres of land. The Vidyapeeth has all modern facilities and separate hostels to accommodate Boys and Girls. JCD Vidyapeeth has its own JCD Super Specialty Hospital and Trauma Centre with 110 indoor beds. Trauma Centre has sufficient experience and qualified Doctors in each department with well established Labs. ICU, CCU, etc. Advancement of knowledge through teaching facilities of international standards. Communication of knowledge in an active learning environment inside and outside the classrooms and labs. Application of knowledge for the benefit of the society, both directly and indirectly by collaboration with other organizations. Freedom to push the frontiers of knowledge forward, within an ethical framework, for the betterment of the mankind. Success and ambition for excellence in a professional setting. Creativity and critical independence to enable students and staff to achieve their full potential. Openness within a caring and supportive working environment.